King travelled to Memphis to march with the workers and address them in public meetings. A large demonstration was scheduled for April 3, and to gather his thoughts for the speech he would give on that day, King visited the tiny island of Bimini, off the coast of Florida. He had been to Bimini before, in 1964, to write his Nobel Prize acceptance speech, and now he returned to the island, seeking again the solitude of the island’s fringing forest of mangroves. It was to those same mangroves I came in 2009, while researching a book on the world’s fast-disappearing mangrove forests. 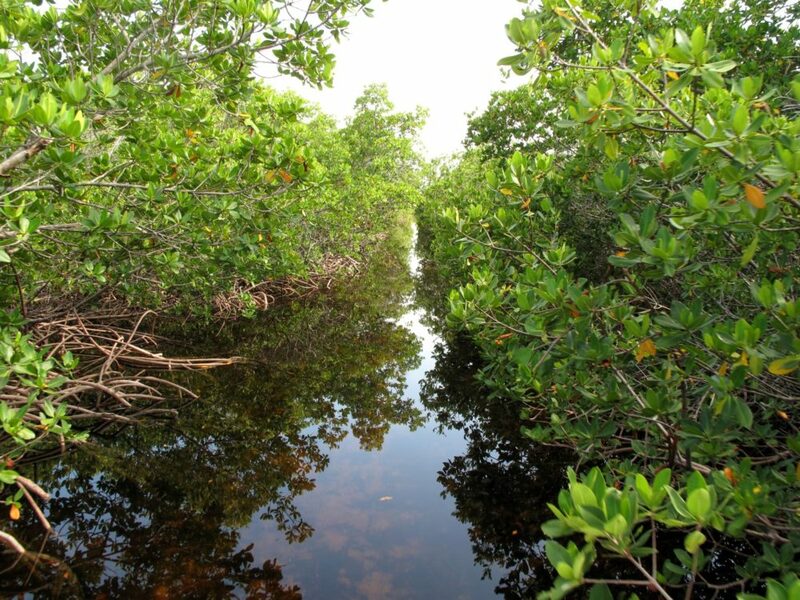 A resort developer in Bimini was planning to bulldoze a large swathe of mangroves for a golf course. The marine scientist who was showing me around suggested I meet a renowned Bimini boatbuilder and bonefishing guide named Ansil Saunders, a man who knew the mangroves well. 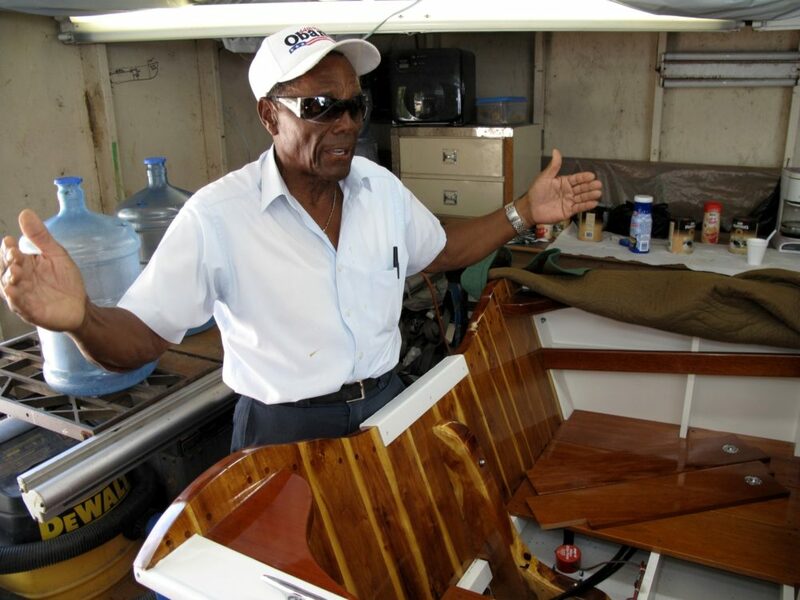 I visited Saunders one afternoon at his boatyard on the King’s Highway. He pulled the dust covers off a newly finished speedboat whose lacquered sheen spoke of hours of patient sanding and generous applications of varnish and paint. The hull was the deep blue of oceanic water. The deck and much of the interior was the rich red-and-blond grain of Bahamas mahogany, which locals call horseflesh. We spoke of trees and timber and hurricanes and how mangroves form a living breakwater, protecting boats and homes from storm waves. Then he told me something unexpected. He was the one, he said, who had taken King into the mangroves to think and write. The speech was King’s last oration. It is striking for the way King uses it to summarise his life, as if he knew it was about to end. Today it is known as the “I’ve Been to the Mountaintop” speech, but it could equally be known as the “I’m Happy I Didn’t Sneeze” speech. That line came when King spoke about an attempt on his life ten years earlier, when a woman came up to the table where he was signing books in a department store in Harlem and stabbed him in the chest with a letter opener. When police arrived, an officer warned King that the blade was so close to his heart that he shouldn’t speak, he shouldn’t even sneeze. Surgeons who operated on King later confirmed that the tip of the blade was resting against his aorta, and that a sneeze could well have punctured the artery and killed him. The next day, April 4, as he stood at his balcony in the Lorraine Motel, King was killed by a single bullet fired from across the street by James Earl Ray. He was 39. As for the Bimini mangroves, in 2012 a bronze bust of King was installed on a pedestal in the secluded lagoon where he contemplated nature and penned his timeless words. The proposed golf course has not eventuated.